Welcome to a sample archive copy of our online Friends of NHV MEMBERS ONLY Newsletter - this one from December 2013. Newsletters remain online for 3 months before being replaced by the latest edition. This is just one of the perks of joining as a friend of NHV. This is in addition to your discount card for purchases from our fundraising merchandise via the ukbusphotos sales stall and the opportunity to become an active working member of the group in your spare time. 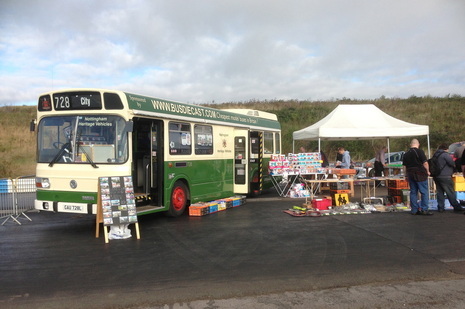 We start this newsletter with the news of another fine day of fundraising at Showbus 2013 Long Marston. Despite what appeared to be a poorly laid out site with a surface less than ideal for any family buggies - and those wheelchair bound, the day turned out to be another successful one for ourselves. 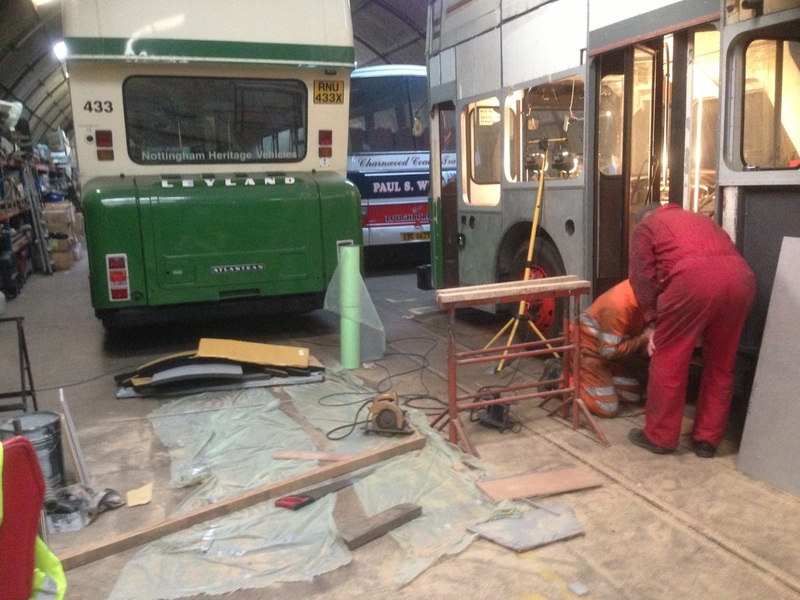 Setting out with the bus from our West Hallam site at 0430 is never a great thing to look forward to, but its always a 'must -do' for this annual get together. With a short stop en route we arrived on site to link up with our support team towing the rather over stocked trailer at 0730. Naturally the first task was to get the kettle on ! 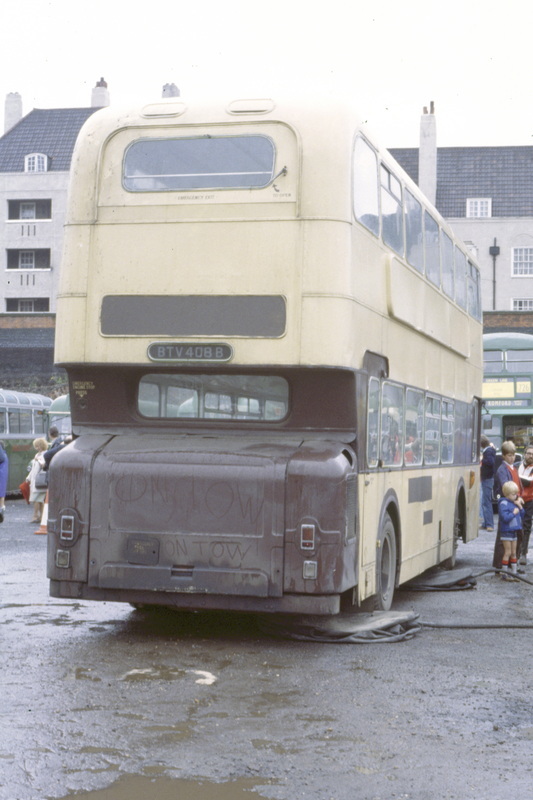 Our youngest member, Simons son Adam was away with his Dads camera within seconds, photographing any bus that moved - often more than once ! Being only six years of age he seems to have more luck in getting vehicle owners to pose their buses for him than his Dad does. Being a little dubious of the resulting quality of his images we were somewhat suprised to find that they are not only balanced and sharp - but also taken at better angles than some we are offered for use in fundraising. Obviously a budding photographer in the making. 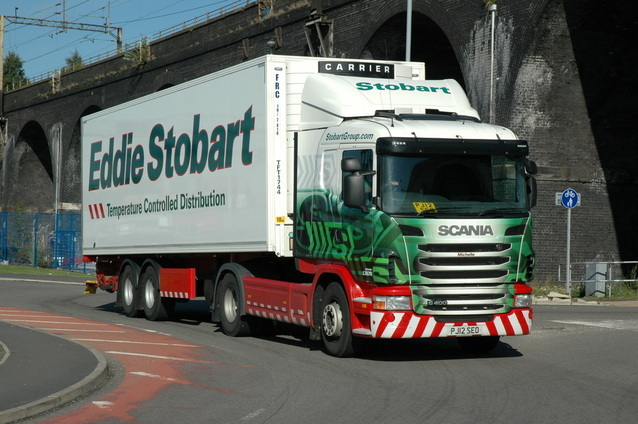 Once set up we were amazed to see our new range of Eddie Stobart items sell out within less than an hour. 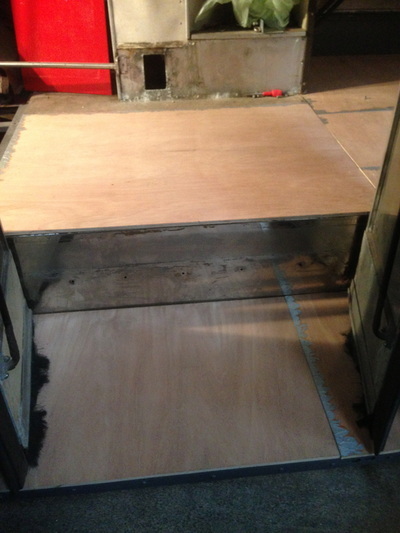 Naturally more will need to be produced in future weeks. Throughout the day we remained quite busy, talking to many friends old and new and managing to unite several vehicle owners with elusive parts and useful contacts to facilitate the continuing restoration of their own vehicles. As usual with Showbus we had to contend with those commercial traders who seem to use it as a dumping ground for disposing of their stock at well below trade prices. Fortunately we were able to benefit a little this year, picking up many mint boxed EFEs for less than £3 each for future resale through our UK Bus Photos fundraising arm. 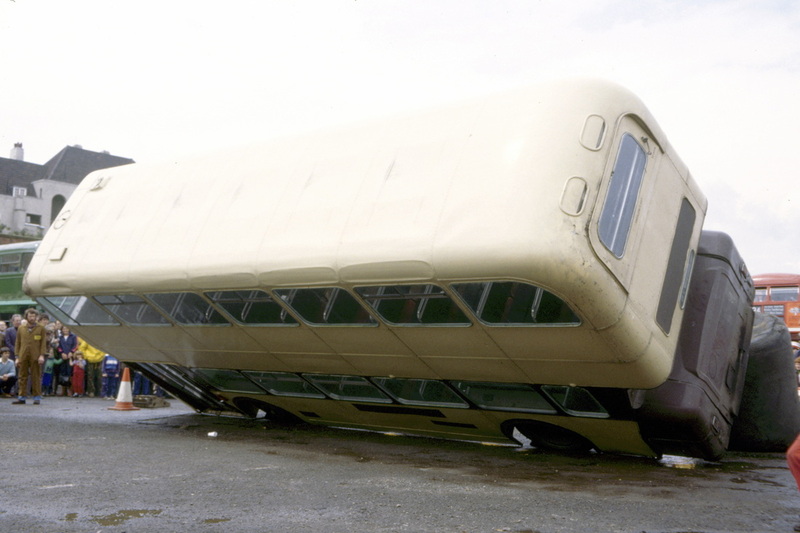 After packing up and contending with the ever slower M42 and M1 we arrived back at base around 2000. It was good to meet with four of our new members during the day - its good to put a face to the names. WE must express our thanks to member J.White for his donation of images for resale and purchase of over £30 worth of photographs form us after his 10% discount had been deducted. Here are just a few of Adams 680 photos taken at show bus ! September also brought with it a trip to Widnes to collect a flywheel from a fellow preservationist. This led to a short stop at the Eddie Stobart Widnes port site, resulting in us branching out into catering for the truck enthusiast with a new selection of Eddie photographs ! 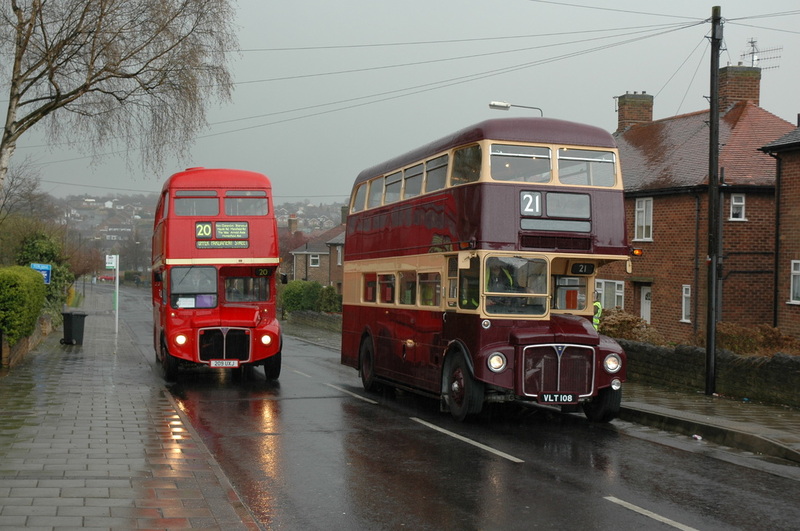 The Cobham Bus Museum Collectors fair in October despite the torrential rain that seemed to last all day also proved to be of benefit with regard to future fundraising. 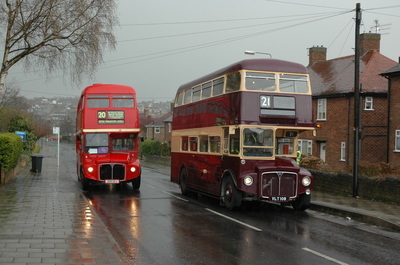 Despite taking the decision with it being an indoor event not to take a bus the trip was still enjoyable. With the end of season being upon us many traders were selling stock off so we were able to purchase a selection of items both in terms of stock for resale and indeed parts needed for our own vehicles. It was great to meet up with another of our members - Tony... and we must note our appreciation here for the donation of all those transport books. Thank goodness we had enough bags to weatherproof them for transfer into our cars ! 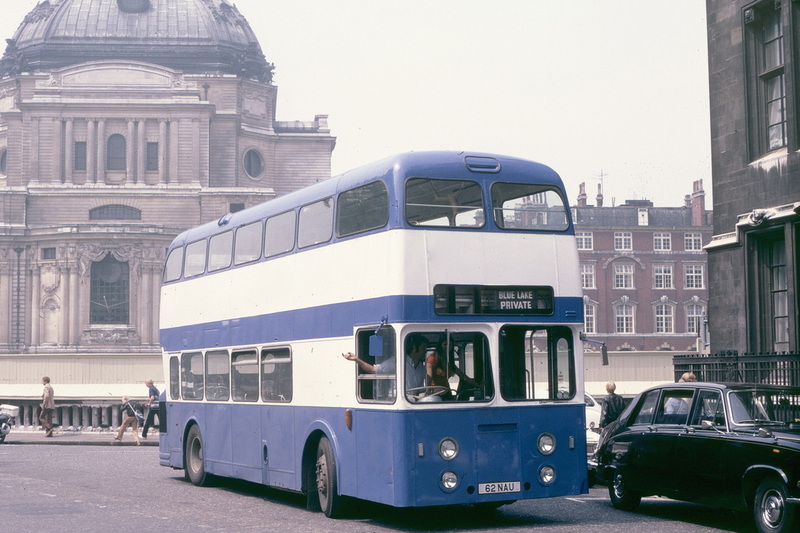 It was also nice to see that the newly printed London and South Eastern area photos proved popular. Well done Cobham for hosting another great event. We look forward to the Spring Gathering in 2014. 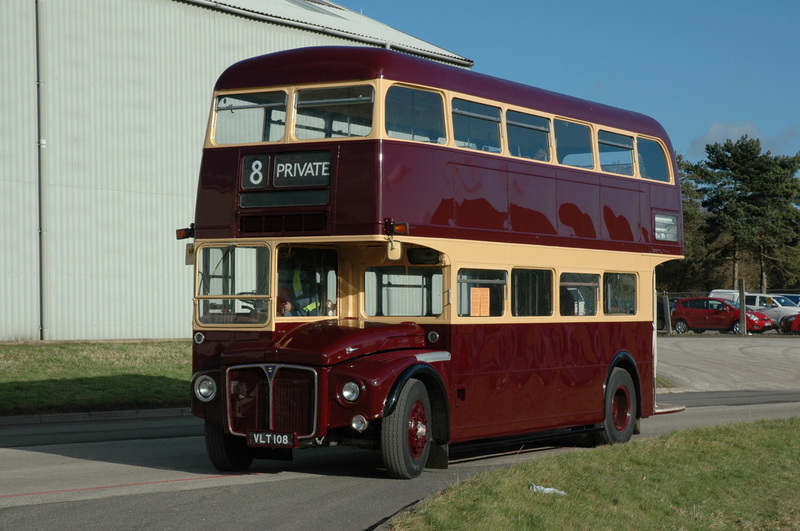 We are also grateful to Graham Lunn for his invite to attend the Routemaster 60th event next July at Finsbury park. If its anything like the success of RM50th it should prove to be a fantastic event. 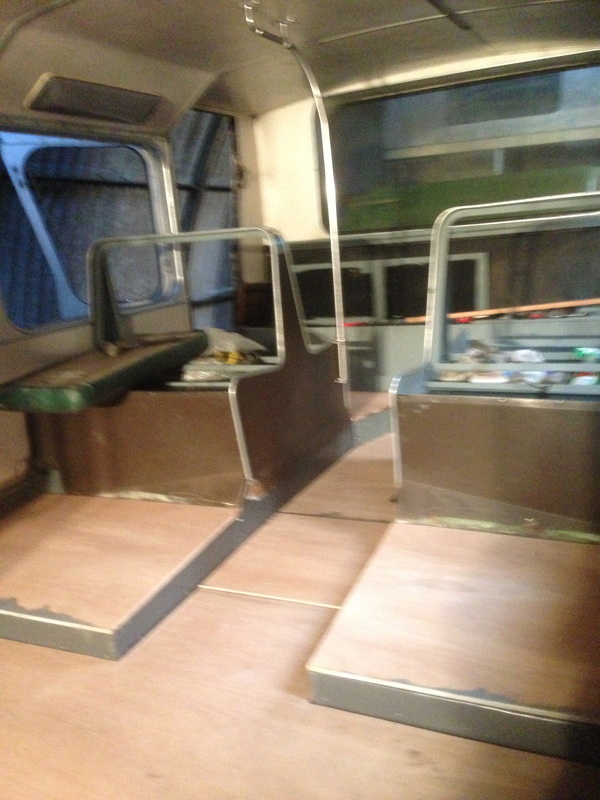 RTV442X - Work continues with some pace on this vehicle. 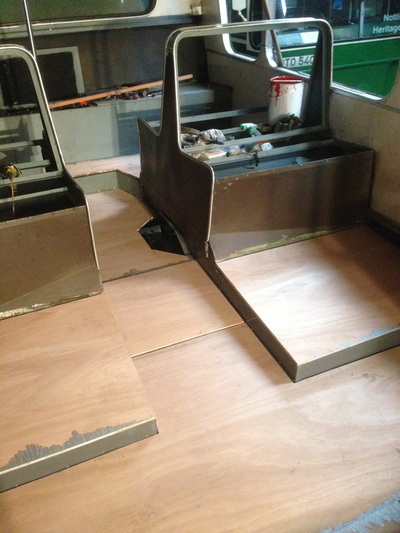 We have undertaken a complete rebuild of the body framing and chassis mountings. 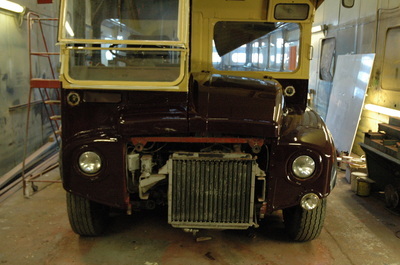 The need then arose to replace the hydraulic piping for the power steering from front to back of the vehicle. 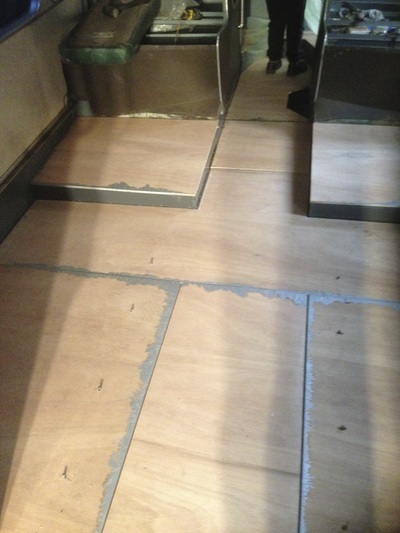 Although ridiculously awkward to get to in places the fact that the floor was out eased the task greatly. 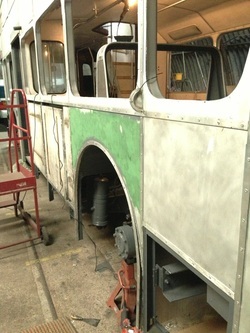 The need for two lengths of hydraulic hose and fittings soon bit into the fundraising pot from our September jaunt to show bus. Once fitted we then looked at cutting the new Marine Plywood to replace the tired flooring removed many weeks earlier. After careful measuring, cutting and counter boring on the underside to allow for framework fixings the new sheets were gradually positioned in place. 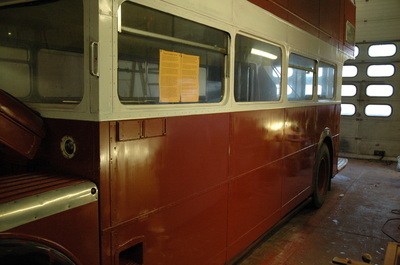 Once happy with the fit they were then removed again for painting of the underside for a final time - not forgetting the board edges. 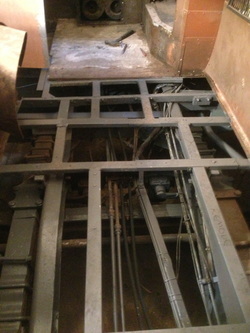 New brackets have been made and fitted to carry the electrical cables along with replacing tired body mounting plates. We then gave all the replacement wheel drums a good first coat of paint ready for the refit. 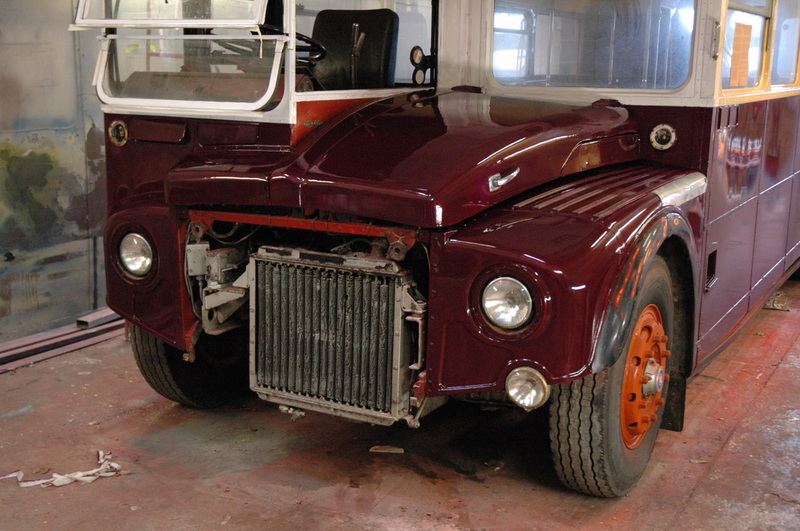 The wheel arches have been restored and new extended wheel arch splash panels added as were carried when the vehicle was new. 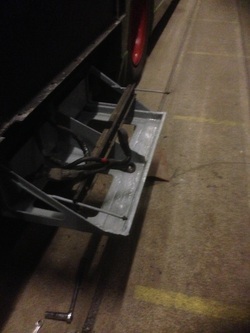 These will now reduce the amount of road dirt that is sprayed up into the chassis framing behind the rear wheels. The rear wheel drums have been top coated as has the diff casing and spring hanger brackets. With a little assistance from a friendly local tyre company we were able to refit the rear road wheels and finally get the vehicle back on the ground. 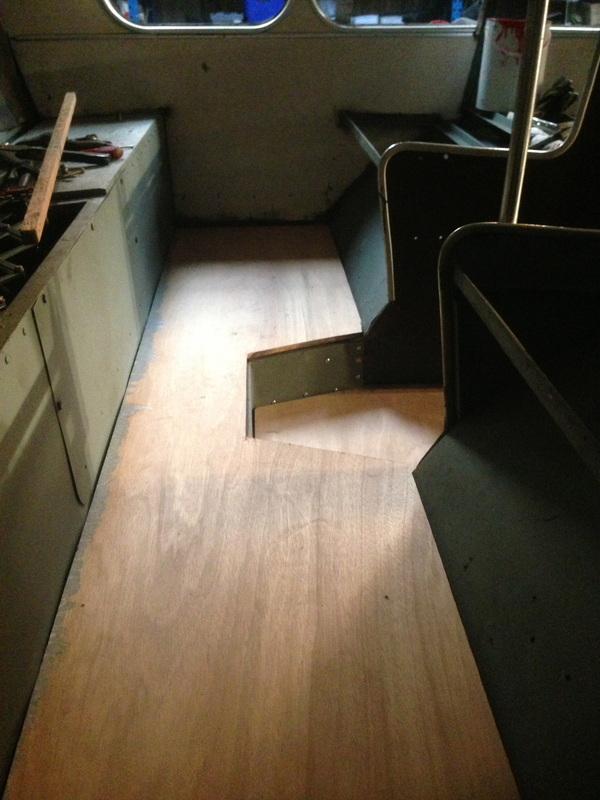 It is coming together ! With December seeing the final bits and pieces being done before the rear road wheels could be fitted we then moved back onto repainting the rear portion of the upper deck floor. 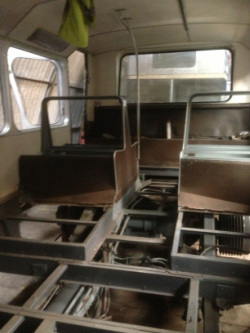 This has then lead us towards starting to position the replacement seat frames ready for fixing and looking at what we are going to do with the front section of the upper deck. 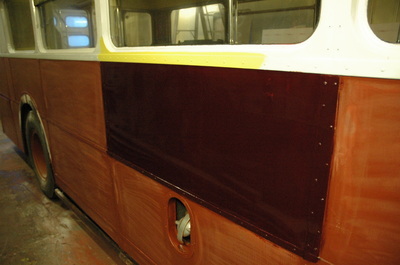 Before that gets touched we will have to manufacture a heating system for the front upper saloon as we have removed all the original blow/vent system to make way for improvements. 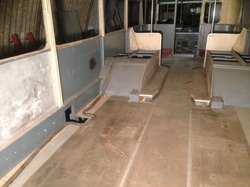 The slide show below rounds off our report on this project and brings us upto the Christmas break. GAU728L - With thoughts turning to the 2014 rally season some of our members have been overhauling the battery crate on the National. As you can imagine with this being at the rear of the rear axle it can get somewhat mucked up by road dirt being kicked up. Once complete we will be replacing the bus batteries with a new set in readiness for its first outing - which may be an early MOT slot. 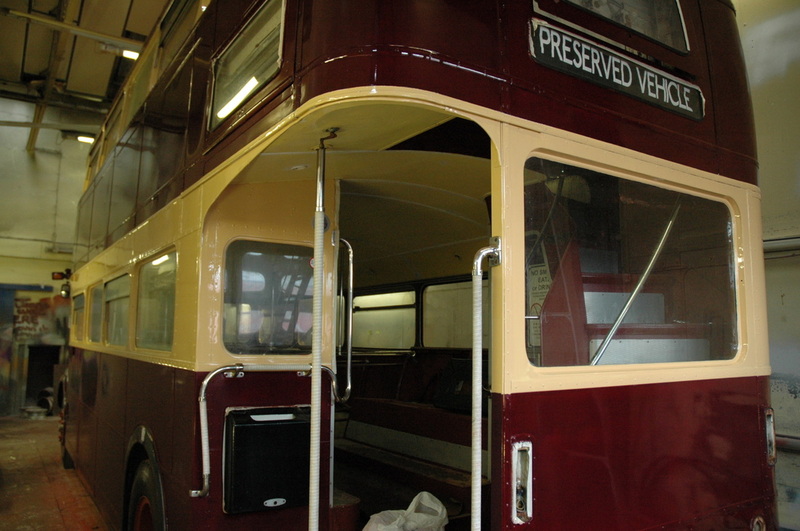 Although the current ticket doesn't expire until well into the year we want to revert to ticketing vehicles over the winter period to release our time for rally attendance and ongoing restoration projects during the summer months. 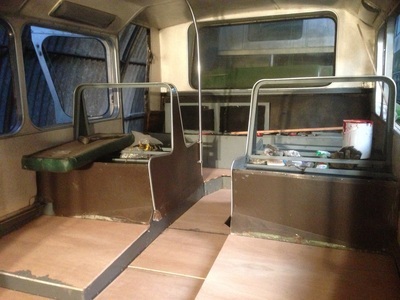 We need more hands on help - are you keen ? 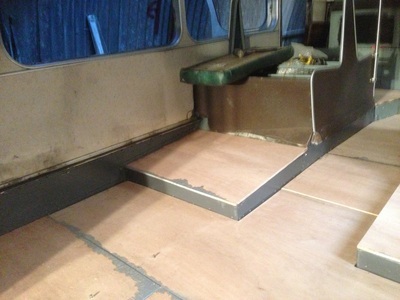 80NVO - Work to replace the internal metal mounting panels for the formica trim has recommenced following a thorough clear out of the vehicle to allow easier working. 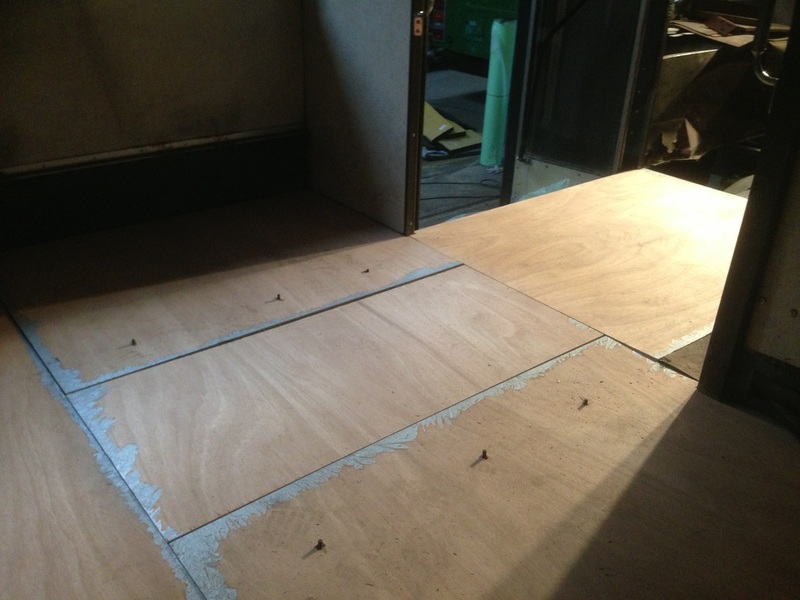 The staircase floor boards have been replaced where necessary with new marine ply and then covered with a protective shield as we don't intend recovering the flooring until the whole vehicle is ready. 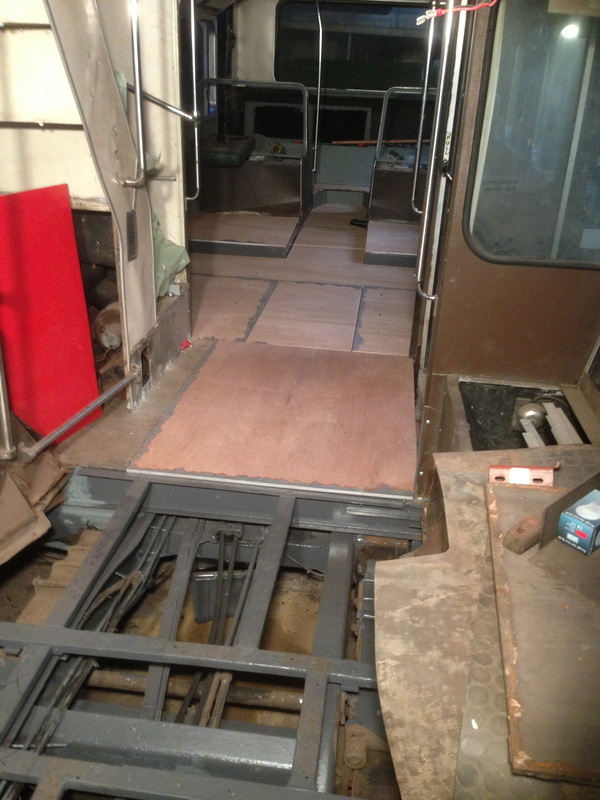 At least now access to the upper saloon is possible in safety ! 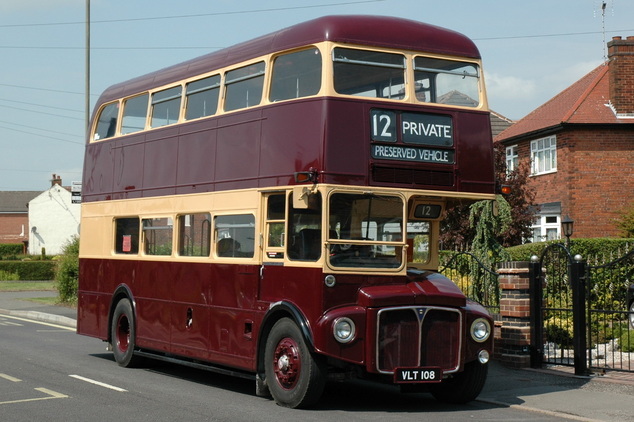 Nottingham City Transport have this month had one of their Scanias repainted into what is supposed to be the former West Bridgford Urban District Council livery to mark 100 years of serving West Bridgford. Hopefully they mean 100 years of service as a whole not by NCT as the Corporation as was never went south of the river until commencement of a joint service with WBUDC shortly before their takeover. 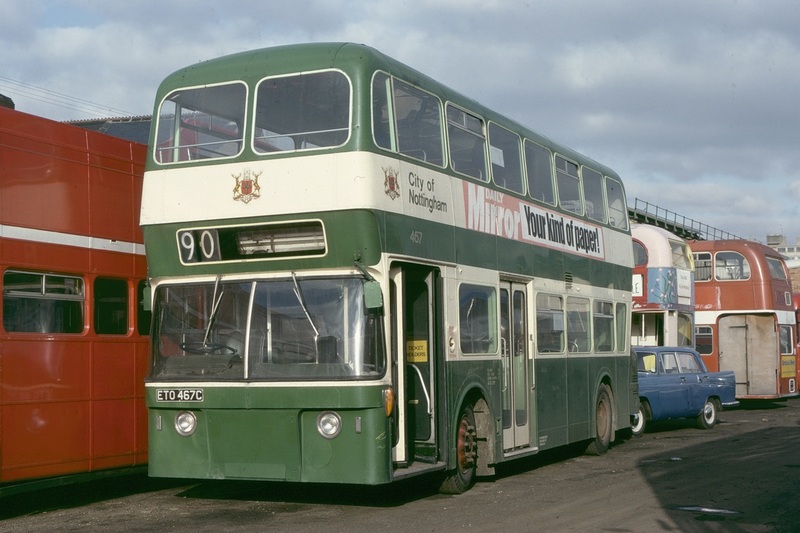 Other southern services commenced with the development of the Clifton estate in the 1950s. 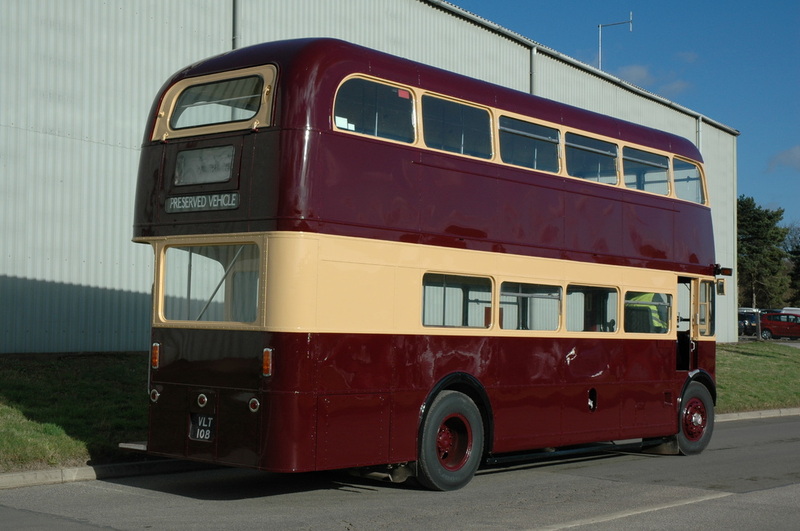 We refinished one of our Routemasters in the WBUDC livery a few years ago - just to see something other than Red in a RM rally line up. 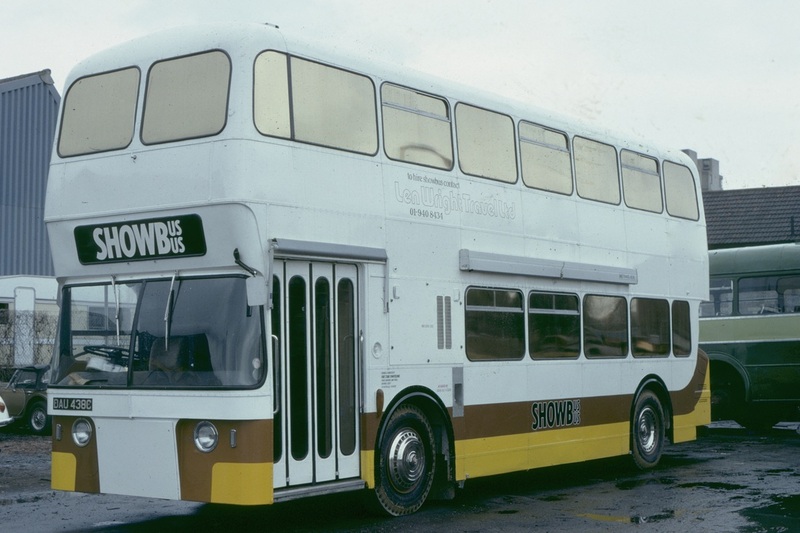 Here are a few shots of what could have been running into South Parade all those years ago had WBUDC steered towards the Routemaster model ! Looking to the future - With the 1st of January 2014 signalling the beginning of a new Charity Incorporated Organisation format being rolled out for smaller charitable groups we have been working hard behind the scenes in readiness for our application. This has meant a move from our current articles of association or rather our 'group manual' and acceptance of the charity by the HMRC (as from 5th April 2010), towards a formal constitutional document, a new bank account for the charity, the nomination of additional trustees from amongst our core working members and plenty of late nights trawling through paperwork ! We believe such a move will in the longer term be greatly beneficial to the group. 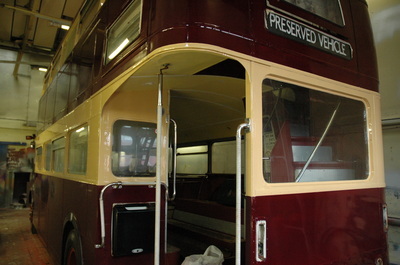 One of the groups founder members has also most generously agreed to formally sign over the ownership of both Nottingham Atlantean 452 ETO452C and South Notts PD3 80NVO directly to the new CIO once formulation is approved by the Charities commission. With so much happening day by day towards this goal we will be issuing another statement via an additional newsletter early in the new year to keep all our friends upto date with the changes. Naturally our hope is that funding will in time become a little easier through the access to a wider range of heritage grant bodies - time will tell. If any of you as friends of NHV feel you can bring anything to the table as such in aiding the group towards our goals then please get in touch via the contact page on the main site. A note to our friends - Apart from those of you that attended our open day back in April, and the two or three we have met at rallies this season, many of you are still unknown to us. Please introduce yourselves to us at our stall or onboard the national when you see us out and about as its nice to put a face to the name. Please also remember that we actively encourage hands on involvement at our workshops for those of you that this appeals to. All you need to do is get in touch. AN APPEAL FOR HELP - We could urgently do with additional donated items for resale to aid fundraising efforts next season. After a successful showbus we are finding ourselves somewhat cleared out of stock, whether it be books, magazines, diecast models, bus parts or general transport memorabilia. Please get in touch before throwing anything we can turn into restoration funds into the bin. Every penny counts ! Thanks for your support. As everything we do - including this newsletter page is done in our spare time we always invite articles of interest for inclusion on this page. If you feel you can add anything please let us know. IF YOU LIKE THE LOOK OF THIS PAGE THEN WHY NOT JOIN OUR SUPPORT GROUP. Please follow the link in the menu bar to 'Join Here'. 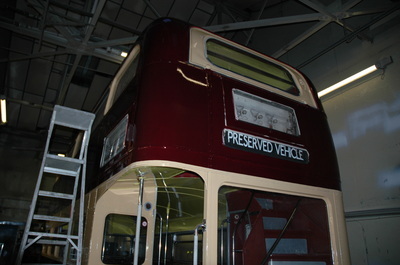 Please look at BUSDIECAST.COM in drop down menu to learn more about this great new venture from UK Bus Photos to help support the charity and its work.